The “’REAL’’ traditional Rottweiler is an intelligent, courageous, loyal, stable and loving dog that makes a great family guard/companion dog for life. A Rottweiler from high quality breeding and is raised properly, makes the perfect “man’s best friend”. 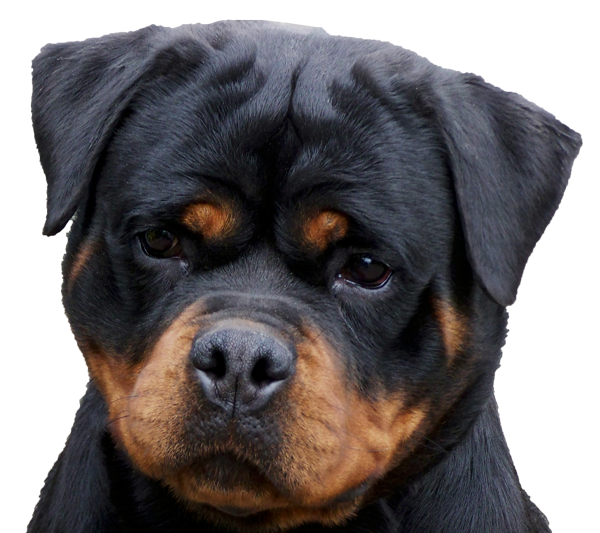 If you’re interested in the Rottweiler breed this article is worth a read. Research the breed by reading books & searching online. Go to a dog show have a look at the breed live & talk to breeders . All breeds have their own distinct personality traits and breed-specific characteristics. The Rottweiler is the same & the better you understand them the easier for you to make the right choice. Research will either confirm that this is the right breed for you or not. A Rottweiler is not for everyone & shouldn’t be. Some people shouldn’t even own a goldfish! So make sure that you are prepared to be a responsible dog owner. There are lots of Rottweiler breeders who know what they’re doing & breeding some great dogs but there are also lots of not-so-good ones. Choose a breeder who does all the appropriate health-screenings (hip & elbow x-rays) on their breeding stock. Checkout both conformation bloodlines (show lines) and working bloodlines (Schutzhund, tracking, obedience). A combination of both bloodlines generally produces a good mix & ensures that the dogs look and act like Rottweilers! German working lines are superior in temperament as they come from dogs that are worked in Schutzhund , a working dog sport designed in Germany to evaluate a dog’s protection drive, obedience level & tracking ability. These German bred dogs also need to pass a German ZTP (Breeding Evaluation test) before they are allowed to be bred from. So in other words a poor example of the breed won’t pass & subsequently won’t be allowed to breed so therefore will not get a chance to pollute the gene pool with unworthy examples of the breed. These stringent evaluations are extremely important to & maintain & preserve the real Rottweiler traits – working ability, courage, loyalty, guarding instinct , stability , intelligence & should show unwavering love & devotion towards the master & all family members . A Rottweiler is NOT a couch potato & should not have a lazy, dull, aloof or boring character- for those that want a brain dead lifeless couch potato choose another breed that suits you better. Make sure that the bloodlines the breeder is using are derived from long living healthy dogs so that you can enjoy your dog for a long time & in good health , you do not want a pup from a sickly short living bloodline. The price may sound enticing, it might be cheap to start off with but in the long run it could potentially be an expensive & heart breaking lesson from a financial & personal point of view. So make sure that the bloodline is derived from quality imported German stock as opposed to a pedigree full of meaningless wishy washy nothings of no merit. The dogs should be physically impressive, mentally stable & intelligent & good health is a priority. Ask potential breeders as many relevant questions you can think of that will benefit your interest & desire for knowledge & expect them to ask you questions aswell so that they can also help you find exactly what you’re looking for. Ask them how long they have been in the breed as nothing beats experience , do you want a pup from a novice like yourself?. You will also no doubt meet some breeders who have a negative attitude towards other breeders & find the need to put their so-called competition down in order elevate themselves. Needless to say stay clear of these people personally & professionally, choosing a breeder & welcoming a new family member should be a positive experience. A breeder’s dogs should sell themselves by their quality alone without the need for negativity. Quality speaks volumes above all else. Make sure that you Google the Breeder’s Kennel Prefix / Kennel Name to find out the style & the quality of dog that they are hopefully consistently producing .The more high quality examples of dogs that you find bred by them the better , their progeny should be like a living advertisement of their success & therefore easier for you to decide if you like what they are producing. Breeders have their own styles & tastes in dogs & each one will have their own individual ideas so see for yourself what you like best..
It’s should be really obvious but if you can’t find their dogs anywhere in the world when you research them then what does that tell you?? They are basically in the same category as backyarders?? Make sure that the breeder is prepared to guarantee their stock with a replacement hip & elbow guarantee , this should not be a problem for a confident straight up breeder breeding from high quality dogs. Rottweiler puppies are all cute & sweet, but they grow up into hopefully 50+ kg animals so you don’t just take home the first pup that you see. Each pup has their own personality and combination of genetics. A good experienced breeder should be able to help you find the perfect pup for your home , family & intended purpose. The pup has been with the breeder for 8 weeks whilst he/she has been raising the litter so they will know each pup individually & ofcourse they know the sire & dam aswell which will help in the decision making process..
A new puppy will take a lot of time, patience & love so you need to be ready for that. The first few days can be a bit hectic but things will soon settle into a routine. You need to be extra-vigilant during those early weeks so do not take your pup out too often or especially where other dogs have been , wait until you have finished the last vaccination before you walk around freely. Make sure the pup is fully vaccinated before you do so. Also make sure the pup is regularly wormed. Rottweilers are intelligent animals with a desire to learn so start training immediately . Start with name recognition & the basic sit – stay commands, they are never too young to learn they’re like a sponge waiting to soak up anything you want to teach them. As soon as the pup is 16 weeks old & has received it’s 3rd & final vaccination enrol in a puppy school with all breeds of dogs , don’t limit yourself to Rottweiler specialist schools where most people see each other as competition of some sort. It’s about the dogs not the people so choose a school that is about the dogs not the breed. Socialize your Rottweiler puppy early on & throughout his life, a well socialized dog is confident, trustworthy & stable. Stability is very important in such a big powerful animal. Show your pup heaps of love and attention so that they can see that affection is a positive emotion & that they are loved & will love in return & form an incredible loyal bond. 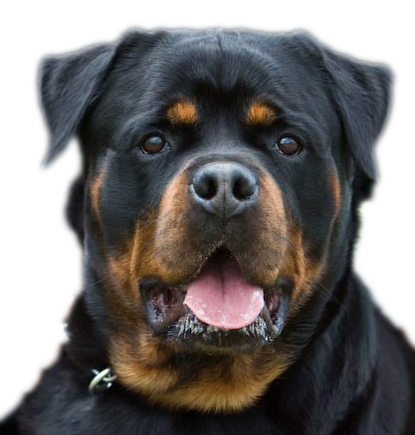 Rottweilers are big powerful highly capable & useful dogs & raised right should play an important role in your family as a loving companion, a family guardian which is extremely important IMO, competition dog & a dog you can train in any aspect that interests you. A well bred dog with the right genetics has no limitations in regards to learning & usefulness, the limit is up to you – the owner.